All the latest Best Joomla templates are compatible with Chrome, Firefox, IE7 and Safari to start with. 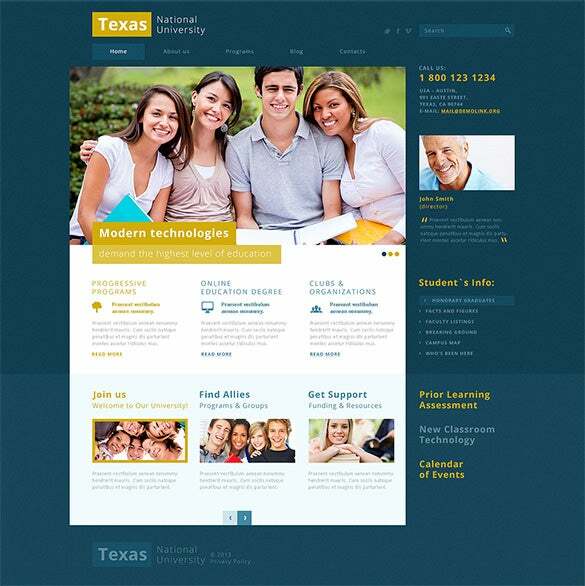 They are also responsive and flaunt more than one layout patterns with color schemes. 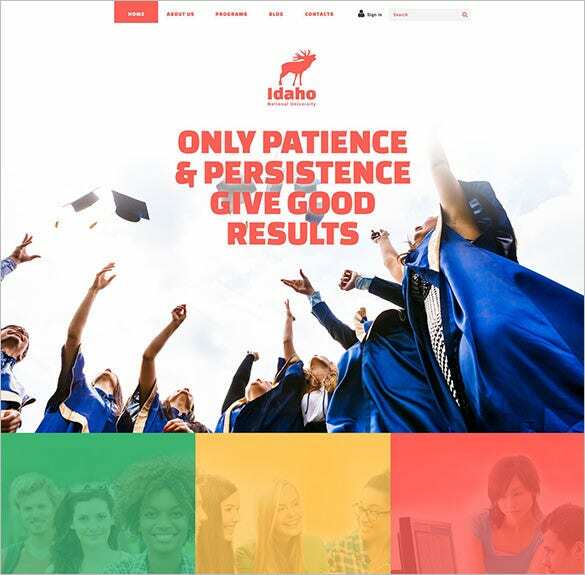 The free templates mostly come with the basic functionalities like specific color schemes, column options, dropdown menus, live search options etc. 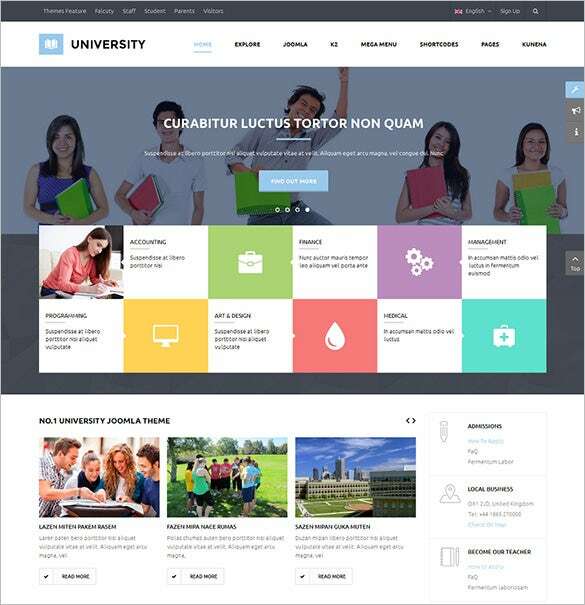 The premium download version of the college Joomla templates also contains pre-installed extensions, bonus pages and much more. 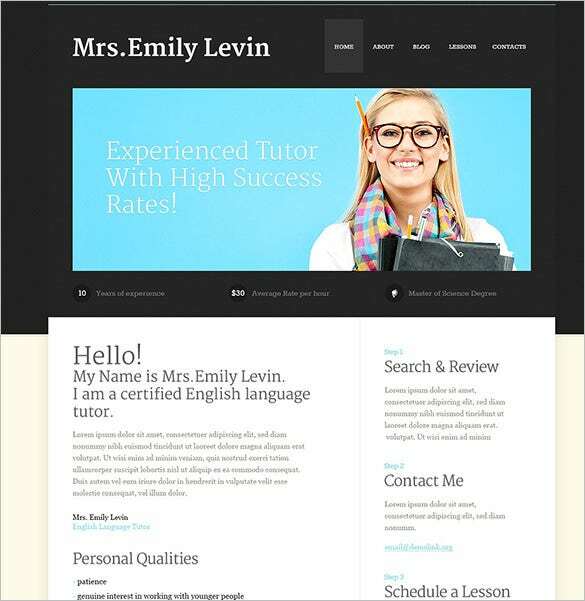 You can also see Education WordPress Themes. 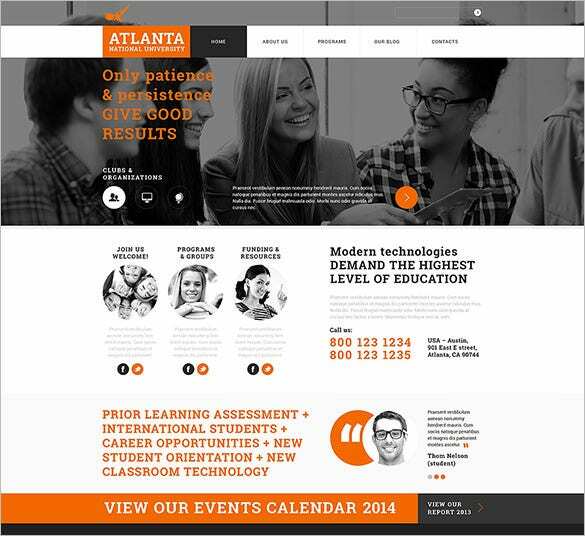 If you want to flaunt a responsive website with multiple colour schemes and layout along with pre-installed extensions, advanced HTML coding, numerous filters and plug-in, Joomla Responsive Template for Education – $48 is a perfect option to choose. 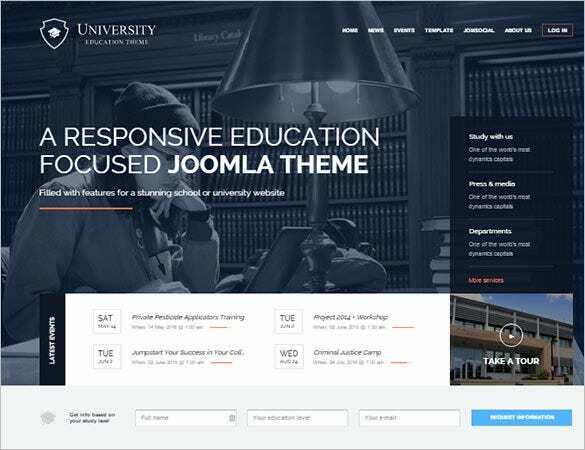 With the Premium Joomla University Template – $75, designers can create an uncluttered layout with navigation friendly modules. Google analytics and Google Translate can be seamlessly integrated along with the traditional feature like variety of colours, images etc. 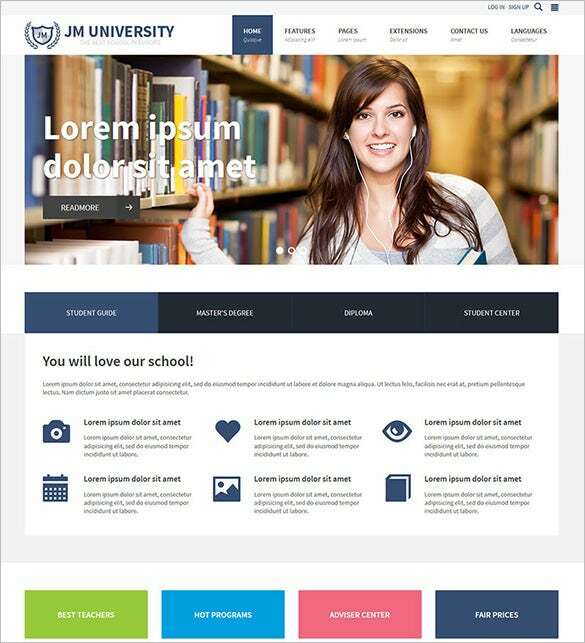 With core components made from HTML or CSS3, Teaching Joomla Website Template – $75 is widely popular for its customisable features. 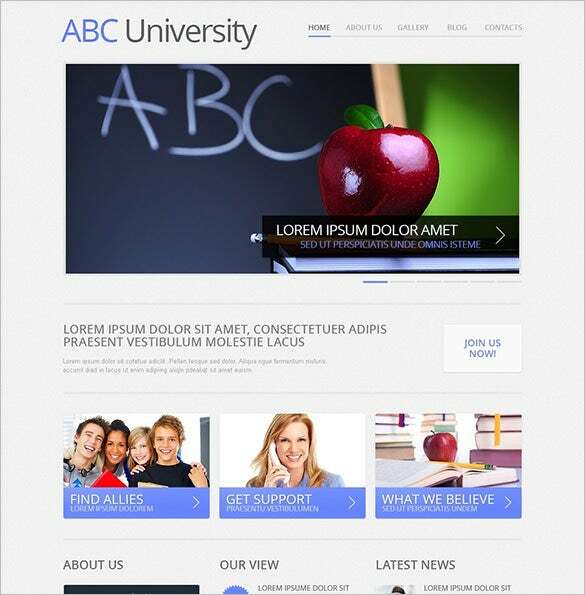 Rich typography, numerous Google fonts, Bootstrap Framework are the other added features. 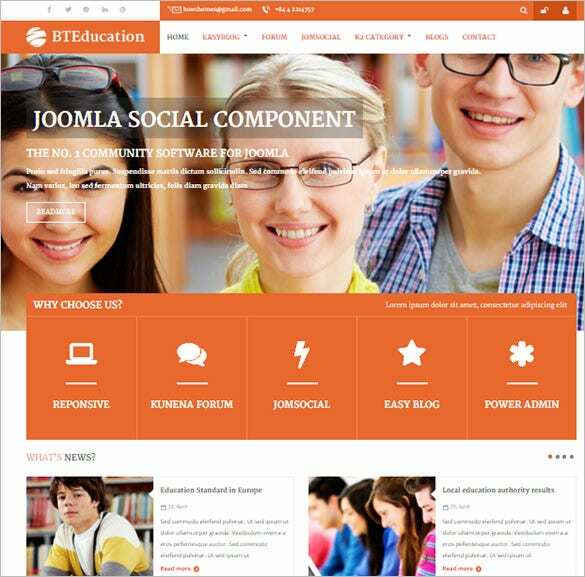 The easy management tools of Joomla Education Template – $58 along with seamless integration of Google analytics and Google Translate, unlimited forum support, advanced HTML5 and CSS3, rich typography makes it a favourite for the web designers. 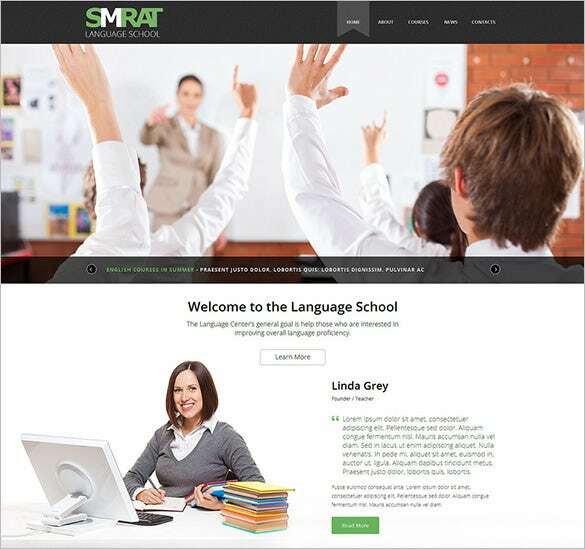 With preset styles, display ready images, HTML shortcodes, demo content, multiple colour and layout, standard Bootstrap Framework, the Best Responsive Joomla Template for Education – $75 is ideal for creating an exclusive website. 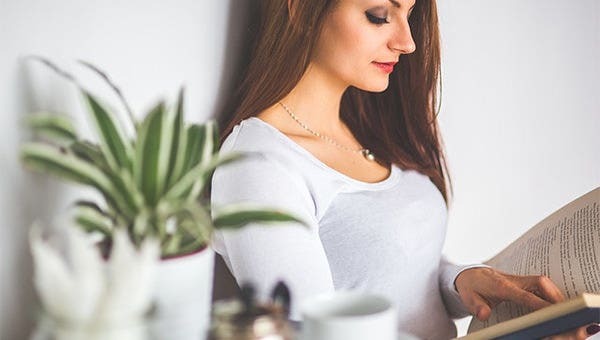 Let us delve into the ubiquitous features of the e learning free Joomla templates which makes them so popular among bloggers as well as web commerce enthusiasts. 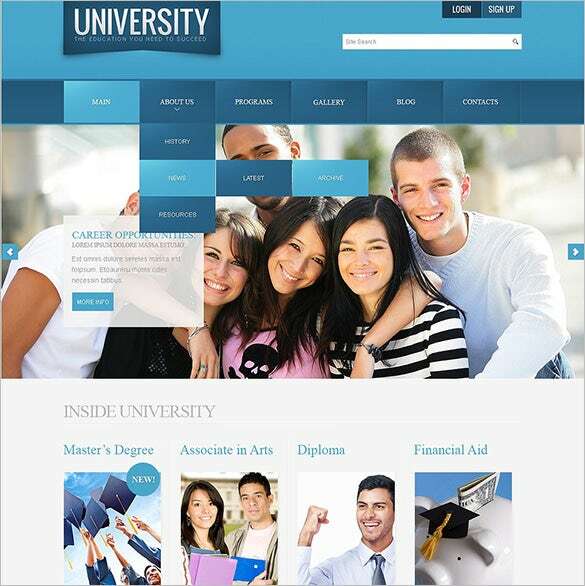 The uncluttered organization and layout makes them extremely navigation friendly. Seamless integration with Google analytics and Google Translate. 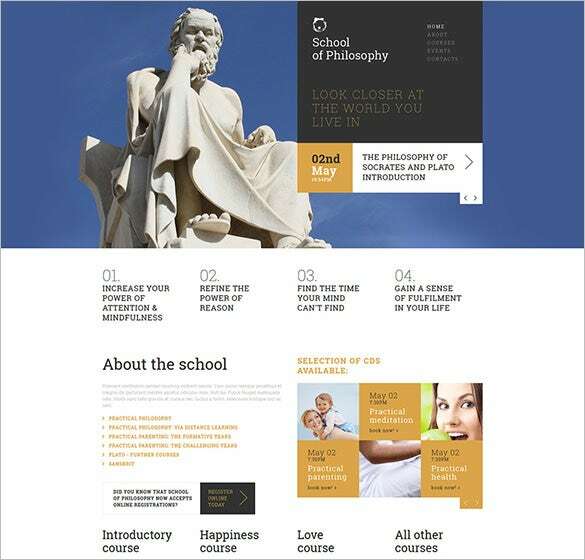 Threaded comment sections are especially required for any education websites. 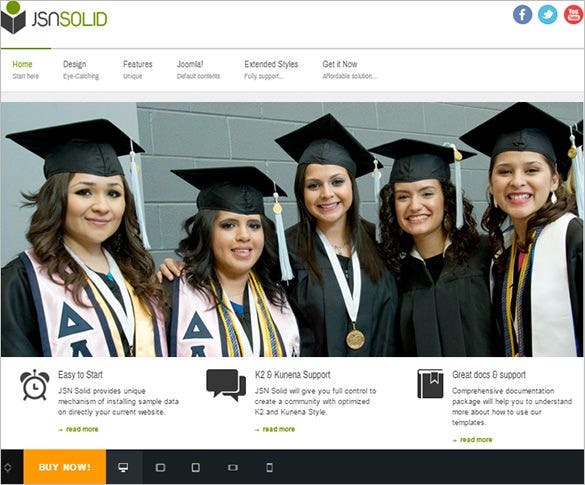 All the new free education Joomla templates support Joomla 2.5.x and 3.x.x without any glitch. The core components are mostly HTML5 and CSS3 based which allows easy modification of core template codes. They also support Bootstrap Framework along with extensive Google font support as well which provides for rich typography of your website. 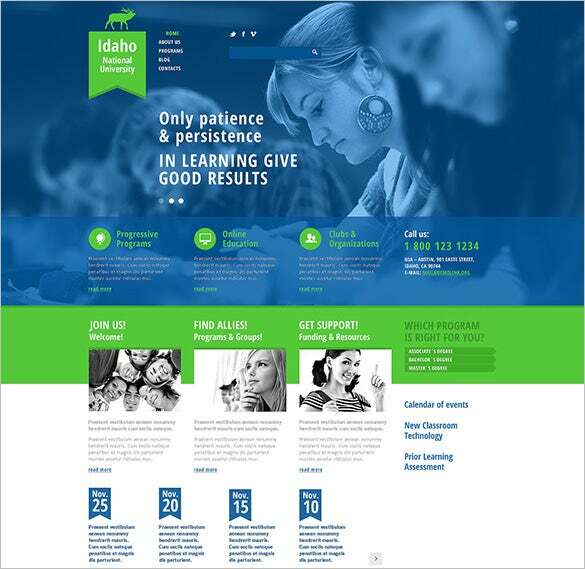 Look out the Education Bootstrap Themes. The preset styles can also be modified by adding foreign components as well as removing them seamlessly. Several extensions for contact forms, membership forms, payment gateways, event updates etc can be easily added to the basic templates for extended functionality. 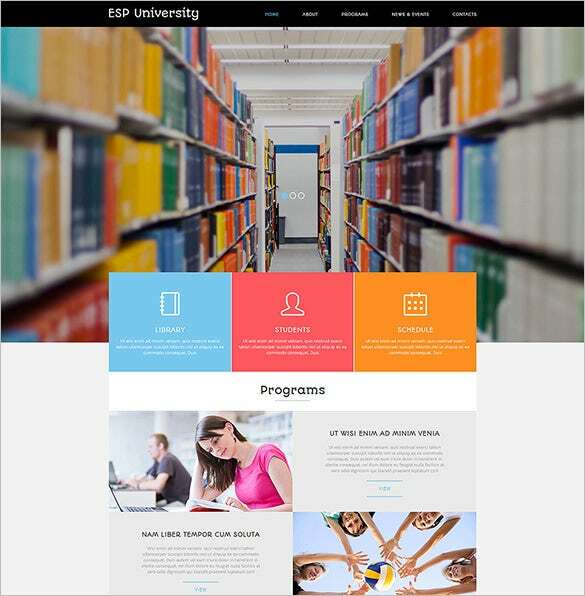 Education web templates from Joomla downlaod give the pleasure of finding the best courses and educational institutions online.